Here's a great knife from Bradley Cutlery! 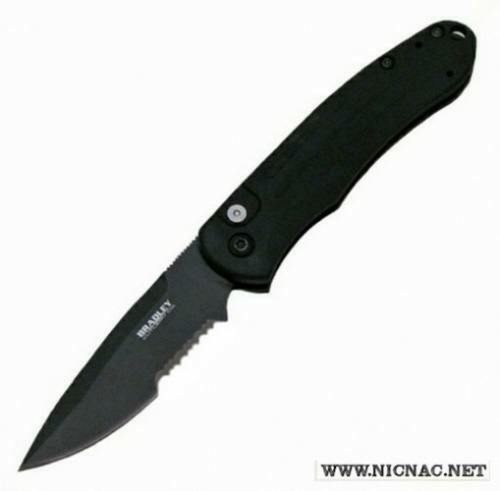 The Bradley Alias 1 G-10 Folding knife with a 3.6" black serrated blade. 17900SBT. Overall open length is 8.25" with a 3.6" blade and closed, this folding knife is 4.75" that weighs in at 4 oz. The handle is a bead Blasted 6AL4V titanium and the blade is S30V stainless steel. This is the larger version of Bradley's Alias line.